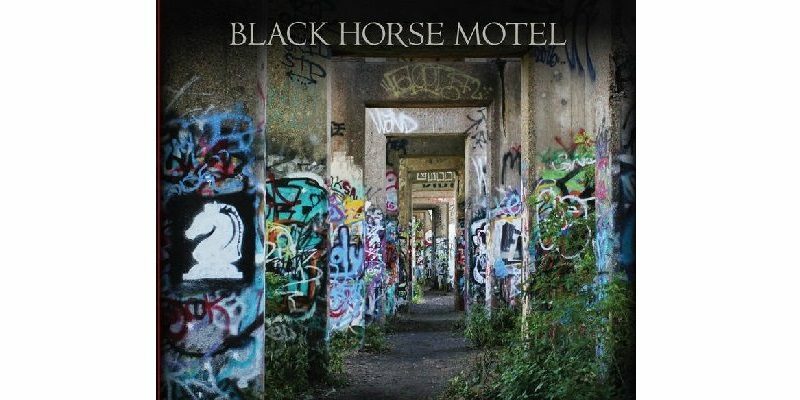 The sound of traditional folk rock and roots music is something that simply glistens throughout this EP from Philadelphia based Black Horse Motel. The instrumentation has this raw and gritty presentation to it that makes the whole thing feel like a live performance, and furthermore – the lyricism is beautiful, holding onto your attention from start to finish. The opening track is Run, Rabbit, Run, a superb place to start – the musicians in the band showcase the absolute best of their abilities, the riffs are simple yet effective and the pace and energy of the whole piece is infectious. 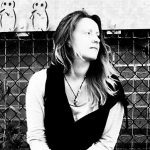 The leading vocal presents the ideas and the essence of the songwriting in a very genuine and relevantly emotional way, something which in itself is often gripping and draws audiences right in. Combined with the surrounding speed of the musicality it makes for a manic and mesmerising few minutes of listening. Well placed as the second track within the collection, Bones highlights a depth and feeling that only requires voices, notes, and a well written, meaningful song. In striking contrast with the opener, Bones offers a mellow and soothing, traditional folk-Americana crossover recording, with a sublime string section, a hypnotic hook, and a beautiful pair of harmonised voices to lead you through the concept. The Parable EP is one that really shines brightly as a short yet intense and varied collection of songs. The sound of the band alone is enough to incite a desire to see them play live, to follow them online, to keep tabs on further releases. Maximising the effect though is the fact that these five songs are, without a doubt, incredible – each and every one. Where The Money Comes From features a stunning opening riff and successfully fuses a somewhat dark and deeply thoughtful form of expression with something beautifully rhythmic and upbeat. Take It Back is the sort that both soothes and inspires, provokes thought, offers a touch of melancholy and reflective poetry, even reminding me on occasion of the sort of stripped back, raw and emotional acoustic performance you might catch from a heavier rock or metal band. There’s a feeling of vulnerability and realness to it that is incredibly compelling and endearing. Dear Mama brings things to a close, and it seems a shame for it all to end, even as just the first few seconds of performance unfold. This track is fantastic, the rhythm of it has that genuine folk feel, wonderfully in keeping with the overall vibe of the project, and once again the storytelling and the ideas seem to bridge the gap between the familiar and the unknown. The song is all at once accessible and distant, relating to you somehow, but intermittently reminding you of the power of art and the sheer connection the artists involved have with the core of the song; something that existed long before you could even listen. The leading vocalists offer a gorgeous array of tones and styles that differ greatly yet work flawlessly together as a unit. A brilliant EP, a classic, passionate, and skillful level of energy, songwriting and musicianship. Download the Parable EP via Bandcamp. Find & follow Black Horse Motel on Facebook, Twitter & Instagram. Visit their Website for more information.